I’ve set up a temporary blog here so that people can discuss next year’s baking weekend. At the moment we’re still waiting for someone to step up and offer to host it. It’s hard work but you make a lot of bakers happy. I sort of specialise in making things difficult for myself as well as for other people. 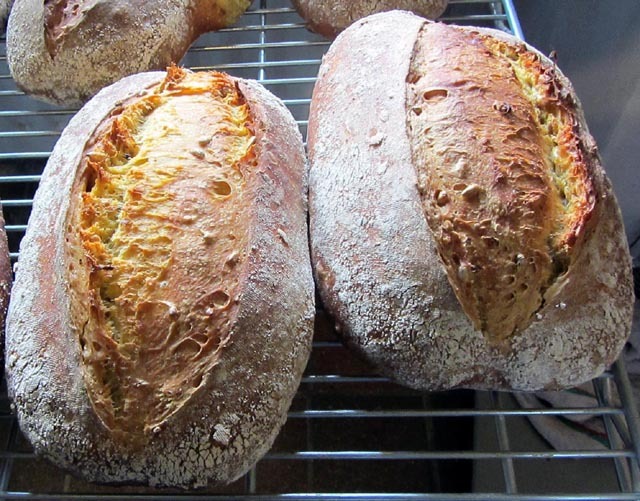 Writing a book about bread limits your potential audience; writing about sourdough reduces it further. So now I have had Bethesdabasics translated into Welsh – Gareth, bach, can I send you a Paypal Payment Request?